Which Watch Style Suits Your Personality? Classic? Romantic? Bold or Simple? Take this quiz to find out. 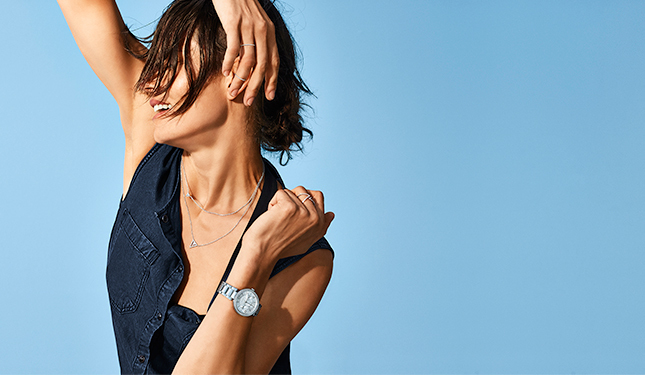 For the modern woman, a quality timepiece is a wardrobe essential. It leaves a crisp finish to your overall look, and is a sensible investment piece, too. When purchasing a watch, you need something that woud speak of your personality and match your favorite styles. Take this quiz to help you find your perfect match! d) Having a loooong luxurious soak in the tub. a) Your favorite vino on a quiet night. b) A romantic, candlelit dinner with your beau. c) Something you’ve never done before. Free time is always for trying something new! 4. What is your ultimate wardrobe staple? This article was created by Summit Storylabs in partnership with Esprit.